The greater irritation shown by the countries that currently are the Arab world’s chief “integrators” — Saudi Arabia and Qatar — during and after the “Group of Friends of Syria” conference in Tunisia points to growing problems in the Wahhabi integration project that stretches from the Atlantic to Iran. In essence, the “subjectivity” of the Arab ecumene under Saudi-Qatari patronage is currently being strength-tested in Syria. The high interest that the world has shown in the Arab Spring confirms once again that in recent years the lands of the Arab world are key to the formation of a new international geopolitical environment. That is hardly surprising, given the significantly enhanced role of the region’s energy resources in the global energy system and, more importantly, the inability of the Arab countries to develop their political, economic and humanitarian space and create a stable foreign relations system (like that of the EU, for example). The situation has grown worse in recent times because, whereas the Americans were calling the tune after the Cold War ended, the main US competitors in the middle East — the EU, China and Russia — stepped up their activities in the wake of three failures by Washington: Camp David-2 in 2000, the Iraq war and the policy of “total democratization” of the Arab states during the middle of the last decade. 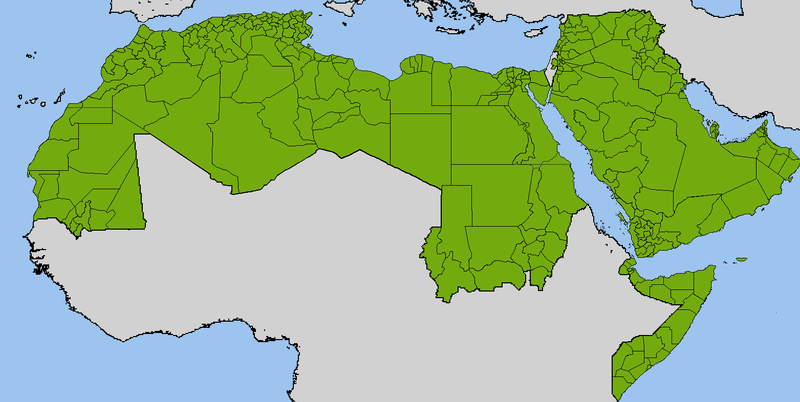 The situation in the region was also paradoxical because the non-Arab countries were the region’s opinion leaders until the revolutionary events of last year despite the fact that the Arabs (or more precisely, the Arabic speaking peoples) constitute the vast majority of the population of the Greater Middle East and occupy the lion’s share of its territory, with a total of 21 states (or 22 if the “quasi-state” of Palestine are counted). Those countries are Iran, Israel and, more recently, Turkey, which seems to have finally stopped beating its head against the wall of the European Union, and shifted its foreign policy vector to the Middle East, while investing itself fully in shaping the Turkic world (a subject I wrote about previously). Among the Arab countries, only Mubarak’s Egypt and Saudi Arabia stood out. With one of the region’s most powerful armies, Egypt has traditionally been considered its key country, and Saudi Arabia holds 25% of the world’s oil reserves. The Arab world’s disunity and weakness has led to the formation of so-called extraterritorial Islamist organizations throughout the region (some experts call them religious orders). They are unique states within states (like Hezbollah or the Muslim Brotherhood), or a well-developed network that stretches across the entire region (like the semi-virtual al-Qaeda). The loose rules of behavior in this energy Klondike, which is like an active volcano in constant eruption, have apparently already annoyed and prompted some excessively active rulers of Arab Gulf monarchies to make efforts at integration. The further the Arab Spring develops, the more it resembles a parochial struggle for dominance in the Arab world. And the “front line” between the authoritarian and theocratic monarchist regimes (Saudi Arabia and the so-called “small monarchies” of the Arabian Peninsula, especially Qatar) and the moderate/hard-line, quasi-military, authoritarian and, most importantly, secular regimes (primarily Egypt, Syria, Libya, Algeria) becomes increasingly well delineated. I believe there are three components to the Gulf countries’ successes. First of all, there is, of course, the Gulf monarchies’ high level of socio-economic development as compared with the other Arab states, their relatively stable economies and their substantial financial resources derived from energy exports. In the information age, however, that is not the most important thing. The key role in the successful struggle with their secular “frenemies” was played by the media resources (primarily satellite TV channels, Al Jazeera and Al Arabia) and social networks, which were actively employed for propaganda purposes, as well as the defined advocacy and the skillful use of the objective difficulties of other countries in the Arab world (the high level of corruption in various levels of government, the social polarization of society, the ineffective power transfer mechanism, etc.). Of course, I should also mention the changing US strategic policy toward the region, which Qatar, Saudi Arabia and the Gulf monarchies have exploited for their own purposes. That is apparent in the Middle Eastern states’ rejection of the policy of “total democratization” and in the policy of forming an “axis of moderate states to maintain stability” in the Middle East as a counterweight to the “axis of extremism in the region” (Iran-Syria-Hezbollah). Apparently, however, the current successes of the Saudi-Qatari integration “locomotive” in the region are only tactical in nature. And it is premature to say that the Arab integration project under the auspices of the GCC is succeeding. There are strong reasons for that, primarily intellectual ones. The end of the drive for integration? In the Arab States, which have been accustomed to the charms of secular living for decades, there are increasing concerns about the spread of the Wahhabi model of social organization, which is intrinsic to the current main “integrators” of the Arab world. Therefore, I would venture to suggest that the current successes by the Islamists in Egypt are temporary. I believe anyone who has lived there for years and knows the Egyptians well would agree with me. The Arab League’s vote in January against the Qatar option for resolving the Syrian situation by a number of the League’s “unreliable” members, like Lebanon, Algeria, Iraq and Egypt, was revealing in that respect. It is also important to take into account the non-Arab regional “players” (Iran, Turkey, Israel), which have different ambitions than the Arab monarchies in the region as a whole and particularly with respect to the Arab ecumene. Although the regional integration projects initiated by Turkey and Iran also look unpromising because of the traditional distrust that the Arab street feels towards the imperial ambitions of both countries, they greatly complicate the integration attempts of Qatar and Saudi Arabia. In general, despite all efforts, the Arab world has undergone no major changes towards acquiring “subjectivity.” The “drive for integration” by Doha and Riyadh is perceptibly fading due to the stubbornness of Damascus. The League of Arab states is slowly returning to normal — a pan-Arab talkfest — and the familiar outlines of the world’s leading players are coming increasingly to the fore in the region. And that means the Arab world will apparently remain an international “proving ground” — an area where the various geopolitical projects of the world’s powerful can be worked out. Probably. But the Arab world’s main weaknesses should not go unnoticed: religion and tribalism. The potentially excessive factionalism of such structural, ideological and demographic, factors imply a highly unstable situation that the US & Co use once and again, for their own end of full dominance. Historically each time that the Arab countries start an emancipatory course, the colonialists and imperialists craftily manipulate religion and tribalism, and the Arabs swallow the bait, and all their efforts result into a backwards triumph of reactionary forces which take back their countries to useless enclosures denying social progress. After the elections in Egypt and Tunisia and the violent outcome of the Libyan suicide we are beholding again the victory of obscurantism and denial of the challenge of the modern world, under the wings of imperialism and its feudal allies in the region. This new situation of Islamic Emirates may last one or two generations, one or two too many, during which oil and gas reserves will proceed to exhaustion, and the “brains” and the enlightened will emigrate: nothing will remain afterwards, but sand and an ignorant population. Another chance lost! Hopefully Syria resists such a gloomy future of bigotry and partition and a tiny bonfire of future remains alight.